Sam Crawley's Little Box on the Web: Normal life resumes, or does it? The journey has ended but the lifestyle not - as I'm homeless and jobless, I'm currently living out of my backpack and crashing with friends and family. It doesn't feel like I'm home yet. I haven't reclaimed my possessions. I'm still in my travelling clothes, although I've picked up a suit ready for interviews. 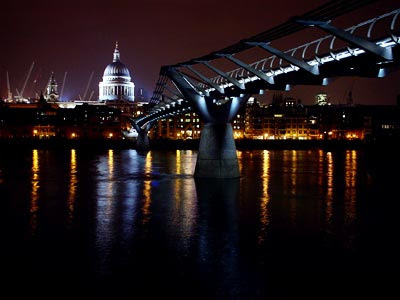 If you're in any doubt as to how much you love London, stroll the South Bank of the Thames from Waterloo to Tower Bridge at night, when London is lit up, bridge after bridge spanning the low chilly waters, reflections everywhere in the wet pavements. St. Paul's Cathedral without scaffolding! People jogging, suits quick-walking home, beggers begging, the riverside full of life. Passing under Blackfriars I reread the descriptions of the Frost Fairs they used to hold on the river in winter when it was frozen over. Perhaps they'll come again with global cooling (last two months have seen biggest global drop in temperatures since records began). Walking across Hyde Park in the evening, biting wind blowing across but thankfully no rain, dark but with an orange glow in the sky, trees spaced, shadowy figures marching back and forth with scarves wrapped tight. 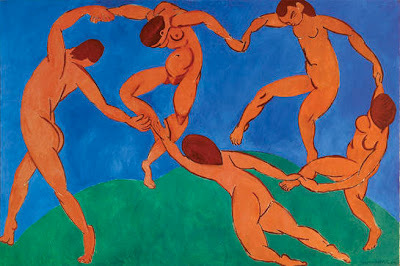 From Russia, the exhibition at the Royal Academy, is nice, but far too busy. This is the problem with blockbuster exhibitions, especially when held in relatively small galleries. Worth going to but don't even think about it at weekends or in the evening. And you have until 18th April. The tube is as horrible as ever! As I'm pay as you go Oystering at the moment I'm doing lots of walking and buses, which is fine. Walking is the way to see London. Pippi and I walked from Gloucester Road to High Street Kensington, passing through Kynance Mews and many of my favoured living spots. Someone win me the lottery! 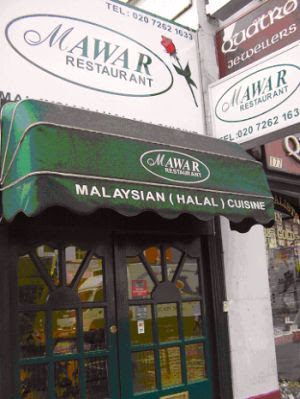 Mawar Malaysian restaurant in Edgeware Road has shut (poor hygiene the rumour goes), Phene Arms is still closed, Nami's flower shop next to Beaufort gone, Sandwich shop in Gloucester Road no longer discounts their sandwiches in the evening, Barkers has become a swanky food shop a la Wet and Wild, Westbourne Grove closed for under-road construction. I'll cope somehow though! Although I will need a new florist, any suggestions? So primary focus is still flat. I need somewhere to live. I started off looking for a one bedroom or studio place, but have decided that for my price range there are nothing but grotty options in my preferred areas (W2, W8, SW7 etc), so I've resigned myself to flatshares, which isn't necessarily bad, just a gamble in terms of who you end up with. Looked at a reasonable place on Edgeware Road, dangerous close to the Carpenter's Arms yesterday but the bedroom overlooked the road. Literally. Fine for winter with the windows shut, but the summer would be six sleepless months; I know, I've been there! So the search continues..